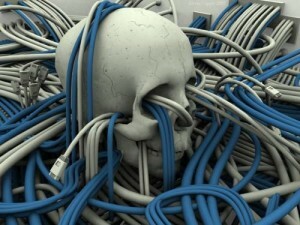 Cyber Cemetery. The University of North Texas, along with the GPO, are the crypt keepers of this depository for the digitally deceased. As a librarian and archivist, I find this to be an important and worthwhile project. The ephemeral nature of the Internet makes it a constantly moving target, fleet of foot, seemingly larger than the planet itself and inherently impossible to capture — at least in total. But, if someone is going to attempt to archive portions of the Internet, then taking on the US government is certainly a worthy subject. It supports the case for government transparency, which as we know, may be intentionally elusive. Of course accountability isn’t the only reason we should be capturing the data. The preservation of these and other websites is a “best practice” as far as I’m concerned — but then again, I’m a librarian. There are other places on the web that attempt to capture snapshots of dead websites, like the Wayback Machine — now known as the Internet Archive. But the Cyber Cemetery is the only one of its kind specifically dedicated to government sites. Our digital past is relatively young in the grand scheme of things. Hopefully these digital graveyards, like brick and mortar libraries, will live on as important historical archives and storehouses for our collective memory. Posted by Kim in Cemeteries, Death + Technology, Death + the Web and tagged digital assets. Bookmark the permalink.